*My brother graduated with his masters degree in Statistics. This took me to Virginia to see him graduate. It was nice getting to spend time with him and his wife for a couple of days. *I started school again myself in October. If all goes as planned, I will be graduating in about three years with my bachelors in Human Resources Management. Between classes and studying, a lot of my free time has been occupied. I find my concentration is much better if I take my books and laptop to Starbucks and just focus. That, and I get to enjoy a latte! *A good friend of mine, who I have known for 12 years, got married in October. She and her (now) husband came in from out of state to get married since both of their families are in Ohio. The wedding was very nice and it was great seeing her, since I only really get to once or twice a year. 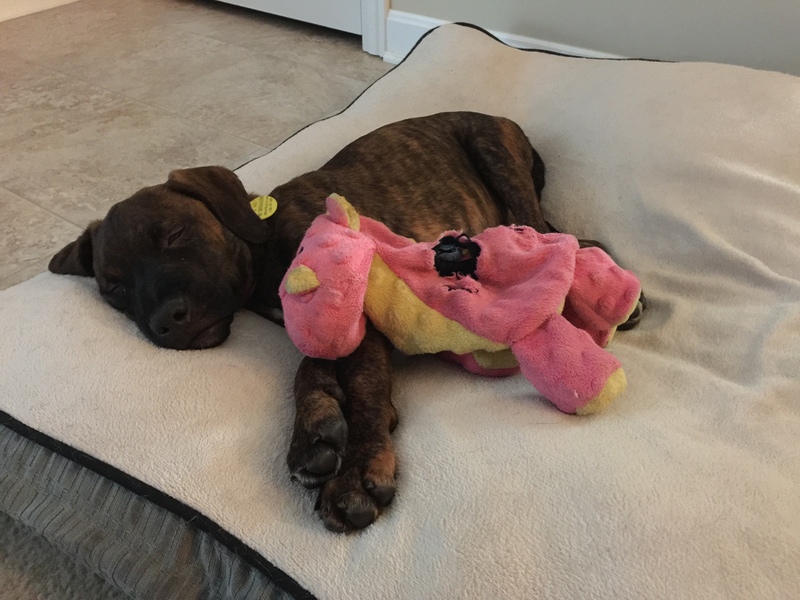 *My husband and I got a second dog…a brindle boxer/lab mix that we named Brownie. She was 4 months old when we got her, but is now almost 8 months. She is very high energy and has brought the puppy back out in our 2 1/2 year old dog (Sweetie) It’s fun watching them play together…constantly. It’s like they have three modes: eat, sleep, play. It’s also been fun watching Sweetie kind of teach Brownie what is expected of her. Brownie is much more stubborn and bull headed, but when she sees Sweetie doing something, she (most of the time) follows her lead. *I also finished writing my next book!!! Well, kind of. The first draft is finished and I am working my my first round of edits and filling in where things feel a bit rushed. Overall, I am happy with how it has turned out though and am excited to put it out on Kindle and Nook in the very near future. What’s more exciting is that along the way, I came up with ideas for future books, making the one that I just finished part of a 4-book series. I’m anxious to start the second book, but first must finalize the first. Friday (1*15*16). The wedding was beautiful and I am so happy for my friend. 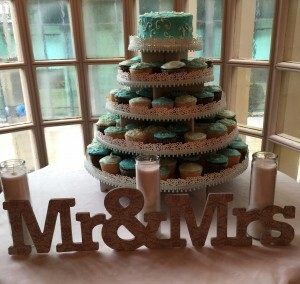 The venue was perfect, the decorations gorgeous, and my friend looked amazing. I even got out of my comfort zone and did some dancing, which was surprisingly a lot of fun! It was also nice getting to see some people that I haven’t seen in years and talking with my best friend about her upcoming wedding, which is this coming June. I’m very excited for her. As you can see, 2015 was a busy year. I’m hoping that 2016 is full of new adventures and just as exciting. I am looking forward to finding out what it has in store. 2016 New Years Resolution: Be better about updating my blog more frequently! How was everybody else’s 2015? I’m so happy for you!!! You have done slot of amazing things! !